For a happy, healthier pet, register now for the EXELPET™ FREE "Healthcare Reminder Service" and let EXELPET™ remind you when it’s time to treat your pets against harmful parasites such as heartworm, intestinal worm and fleas. We have compiled some frequently asked questions for your reference. We hope you find them useful. 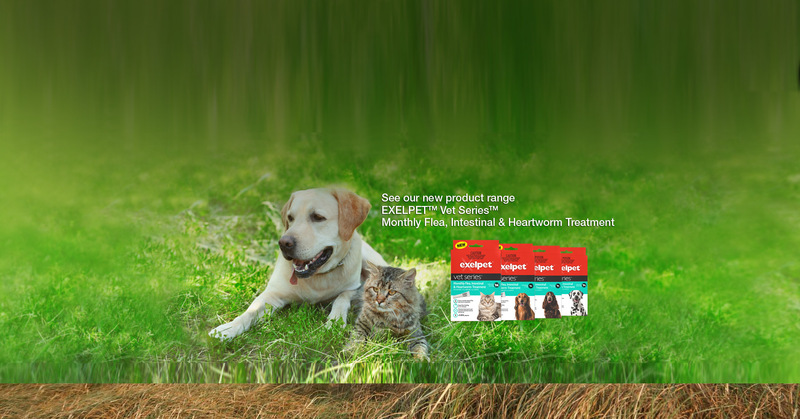 Intestinal worms affect thousands of Australian pets every year and, if left untreated, can lead to the development of cysts or hydatids in the lung, liver or heart. Get in touch with us to let us know how we're doing.